In daily practice, pharmacists are regularly confronted with moral problems in which deciding what to do is not always a straightforward decision. In this contribution we show how the use of a specific method for moral deliberation can (in retrospect or prospective) aid moral judgements. We use the case of dispensing isotretinoin to demonstrate one ethical reflection method, namely the Utrecht Method. We thank the anonymous reviewers for their constructive comments. Charter Professionalism of the Pharmacist. Royal Dutch Pharmacist Association. Dec 2012. http://www.knmp.nl/praktijkvoering/professionaliteit/handvest-van-de-apotheker. Accessed 14 Dec 2014. European Medicines Agency (EMAE). EMEA/CPMP/2811/03. http://www.ema.europa.eu/docs/en_GB/document_library/Referrals_document/Isotretinoin_29/WC500010881.pdf. Accessed 19 Jan 2015. Zomerdijk IM, Ruiter R, Houweling LMA, Herings RMC, Sturkenboom MCJM, Straus SMJM, et al. 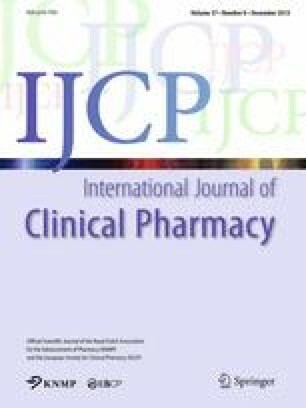 Isotretinoin exposure during pregnancy: a population-based study in The Netherlands. BMJ. 2014. BMJ Open 2014; 4:e005602. doi: 10.1136/bmjopen-2014-005602. NVOG (Nederlandse Vereniging voor Obstetrie & Gynaecologie). Modelprotocol Mogelijke morele contra-indicaties bij vruchtbaarheidsbehandelingen. Utrecht. 2010. http://www.nvog.nl/Sites/Files/0000000935_NVOGModelprotocolMogelijkeMoreleContraindicatiesVruchtbaarheidsbehandelingen2010.pdf. Accessed 26 Apr 2015.